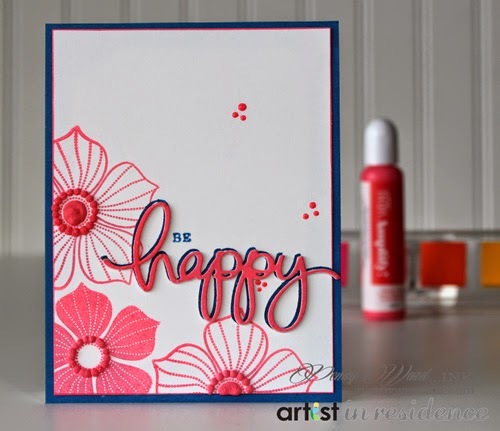 I am playing with new product that was introduced at CHA 2015 over on the Imagine Crafts Blog. So in love with this bright,happy card!! That coral/pink looks so striking with the bright blue!! Love the way it just POPS!!! So much texture and how much dimension - great details will do that for a card!! Awesomely done! !